The University of New Mexico Lobos Men’s Soccer Elite Camp is open to all boys in grade 10 to Junior College. It is a three-day event that will run from the 20th of July until the 22nd of July. This soccer training program is especially for those who are serious about taking their game to the next level. In addition, this soccer elite camp is going to take place at the top-notch facility, Robertson Field which is on the University of New Mexico campus. Moreover, the participant’s are going to learn and experience advanced-level technical and tactical skills. The camp registration fee is $380 per player. The University of New Mexico is a public, coeducational, research, state flagship university in Albuquerque, New Mexico. Its main campus in Albuquerque is split into 3 parts. They are the north, central, and south. Additionally, the University of New Mexico is 192nd in the National Universities category of the 2018 edition of the US News and World Reports Best Colleges rankings. Also, it is 102nd in the Top Public Schools category and 128th in the Business Programs category. The university comprises 12 colleges and is offering 94 baccalaureate, 71 masters, and 37 doctoral degree programs. Currently, the University of New Mexico accommodates around 20,200 undergraduate students. 44 percent of this undergraduate student population are male students and 56 percent are female students. This undergraduate student population is also through a selective enrollment acceptance rate of 47 percent. Correspondingly, the University of New Mexico’s student to faculty ratio is 20:1. The university colors are cherry and silver. It also has 20 intercollegiate men’s and women’s varsity teams. They are competing in the Mountain West Conference (MWC) of the National Collegiate Athletic Association (NCAA) Division I. Their nickname is Lobos. The New Mexico Lobos baseball ha already five MWC regular-season championships and three MWC tournament championships. 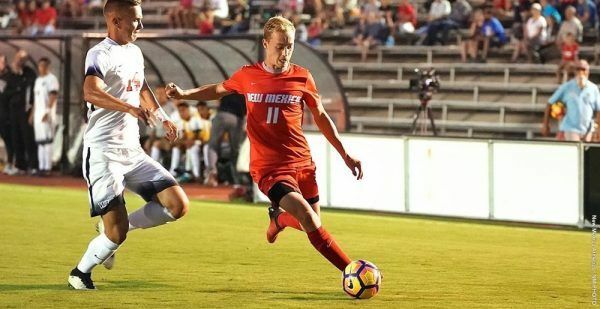 Head Coach Jeremy Fishbein, a native of Cincinnati, Ohio is leading the University of New Mexico Lobos men’s soccer team. He is now in his 15th year at the reins of the Lobos men’s soccer program. Coach Jeremy Fishbein is a bachelor’s degree in Economics graduate from the University of California Santa Barbara. He completed his master’s degree in Sport Administration at the University of New Mexico. Ultimately, Coach Jeremy Fishbein is a five-time Conference Coach of the Year and a two-time Far West Region Coach of the Year. He is also the 2004 Soccer America National Coach of the Year and the 2011 City of Albuquerque Coach of the Year. He is now holding an overall coaching win-loss record of 294-133-46. Additionally, under his leadership, the Lobos has already 11 NCAA Tournament appearances. Then, the University of New Mexico Lobos men’s soccer associate head coach is Mike Graczyk, a native of Albuquerque, New Mexico. Coach Mike Graczyk is an alumnus of the University of New Mexico and was a former Lobo college soccer standout himself. He is also the 2002 Albuquerque Tribune Player of the Year and the Gatorade New Mexico Player of the Year. Finally, the Lobos men’s soccer assistant coaches are Kelly Altman and Lucas Champenois. Come and join the University of New Mexico Lobos Men's Soccer Elite Camp. It is going to simulate a collegiate brand of training and playing environment. This is a three-day event that will run from July 20 until July 22 at the Robertson Field in the University of New Mexico campus. This soccer camp is open to all boys in grade 10 up to Junior College.